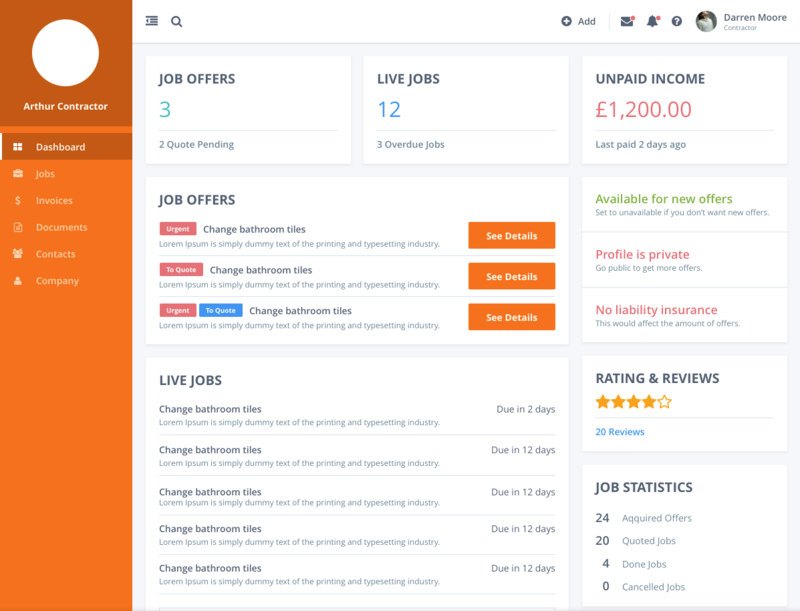 Arthur’s online property management software ensures raising workorders and tracking them through to completion is made easy. Arthur assigns a status to the workorder; pending, live, completed and cancelled. A workorder is pending until accepted by a contractor. Property managers, tenants, and owners are able to track a workorder through to completion. With Arthur’s online property management software, contractors can be listed as public, offering their services to all property managers. Arthur does not take responsibility for their services, it simply acts as a technical conduit for jobs to be allocated. Arthur recommends that property managers speak to the contractors before starting a working relationship. Information regarding the contractor can be found by clicking on their name. Property managers and landlords can invite their own contractors to their accounts. These contractors remain private to that property manager and cannot be accessed by other property managers or landlords. Any activity carried out in the name of that workorder such as messaging and document uploads are logged for future reference against that workorder. Budgets and due dates can be put on to the workorder for the contractor. 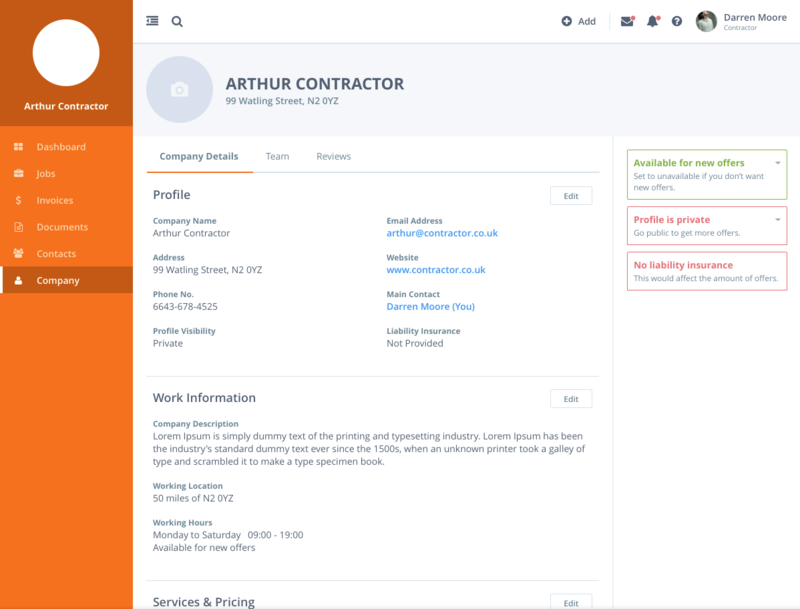 With Arthur landlord management software, workorders can be offered to multiple contractors. When the first one accepts all others are barred from accepting. The contractor, who is often out an about, can access jobs from within the mobile app or via a button on the accompanying email. Either way, once accepted all parties are notified. Workorders that require a quote have a simple tick box. Any quoted jobs requiring quotes from multiple contractors are able to be accepted by more than one contractor. 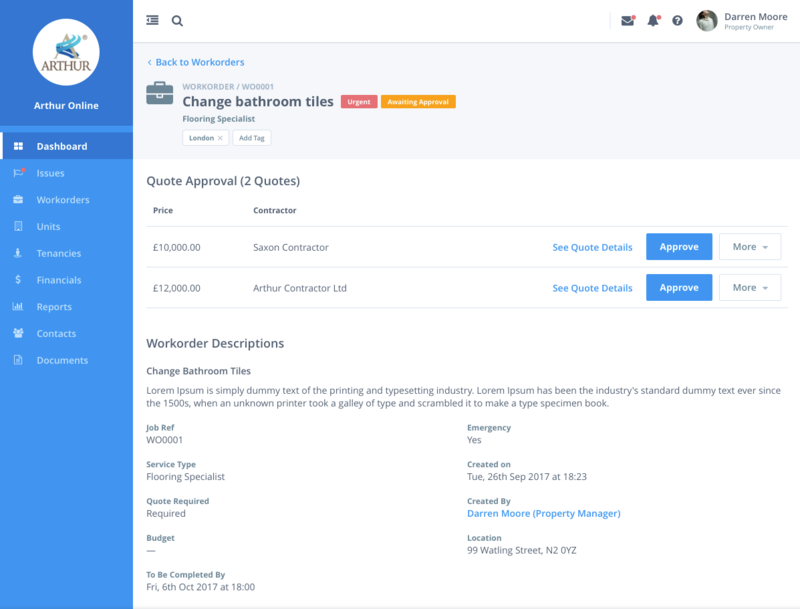 Quotes can be provided via the contractor app. 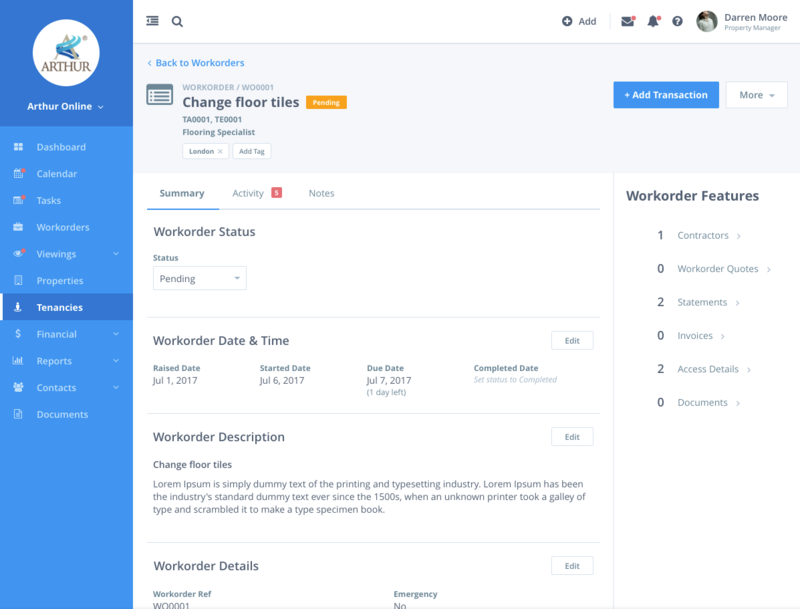 Documents can be uploaded to the workorder either by the property manager / landlord or contractor whilst being shared with recipients at the tick of a box. For example an Inventory Clerk can share their report with the tenant and property manager. 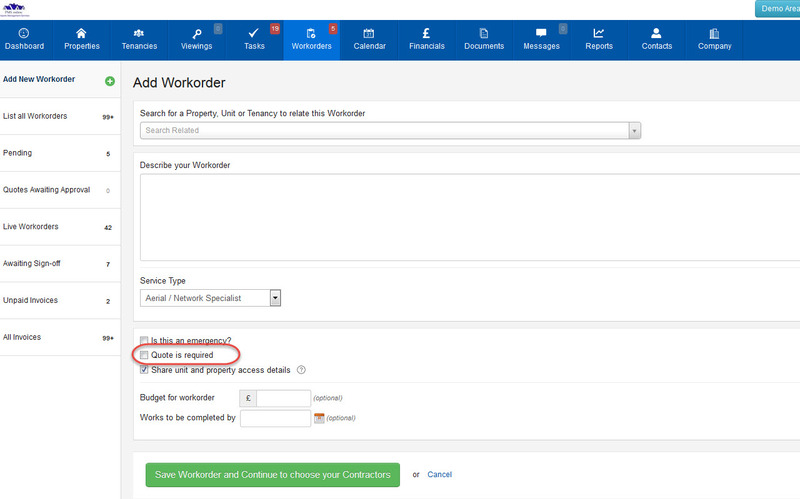 Workorders contain access details to the property if provided by the property manager / landlord. Tenant details are provided to the contractor once they accept the job. 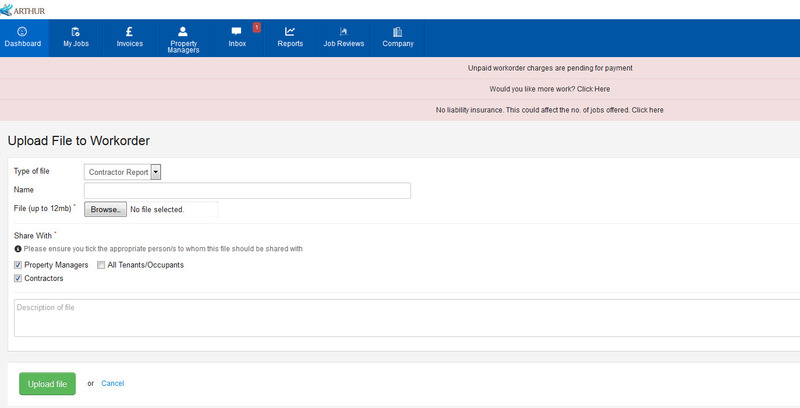 The ability to message within a workorder is available to contractors and property managers. Recipients are notified by the sender simply by ticking the appropriate box.